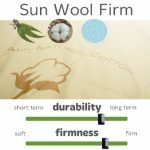 Breathability, comfort and durability; the Supreme Eucalyptus firm mattress has all the advantages of natural fibers with a high-density polyurethane core that will ensure it lasts for many years. 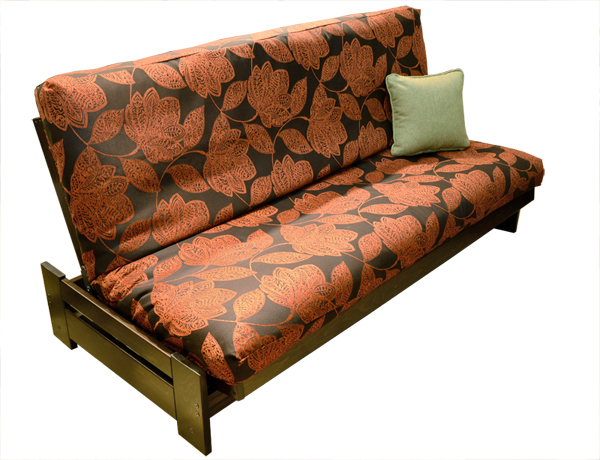 Available in two firmnesses (firm or medium) depending on the weight and personal preferences. The symetrical confection allows a rotation of the mattress and makes it last much longer. Recommended for sleepers looking for : -a firm and stable mattress. 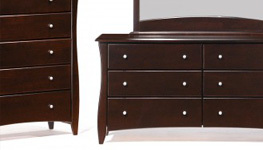 -a quality mattress at a very interesting price point. 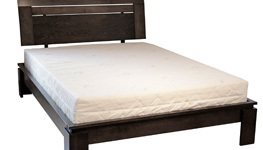 -a fresh, hypoallergenic, dust-mites resistant mattress with no toxic fire retardants added. 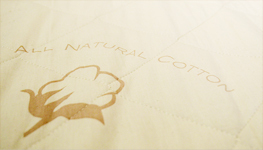 The Comfort Natural Mattress has a core of firm natural latex wrapped in layers of eucalyptus fibre. That fibre on the surface attenuates the elastic comfort of the latex and gives a less "bouncy" sensation than a mattress completely made of latex. This perfect balance of firmness and elasticity makes the Comfort our most appreciated latex mattress. The symetrical confection allows a rotation of the mattress and makes it last much longer. Recommended for sleepers looking for : -a firm mattress with a certain elasticity from the latex that embraces the shape of the body and eliminates pressure points. -a fresh, hypoallergenic, dust-mites resistant mattress with no toxic fire retardants added. 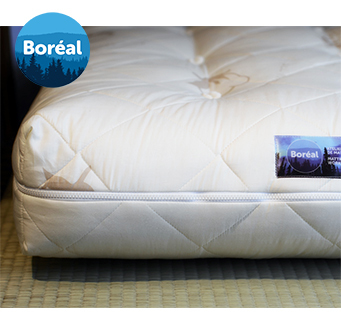 -a mattress entirely made of natural components. 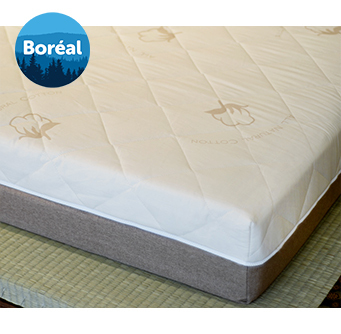 The Ungava Latex Mattress is our take on a very popular concept : a high-density foam base topped by latex. This combinaison allows to benefit from the comfort of the latex at a very interesting price. 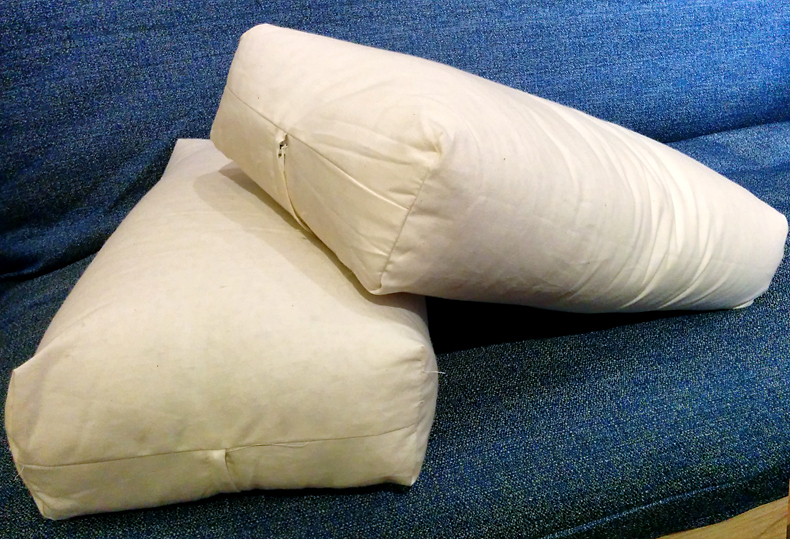 The body sinks comfortably in the upper layers of natural wool and latex but it supported by the firm foam base. Recommended for sleepers looking for : -a firm mattress with a certain elasticity from the latex that embraces the shape of the body and eliminates pressure points. 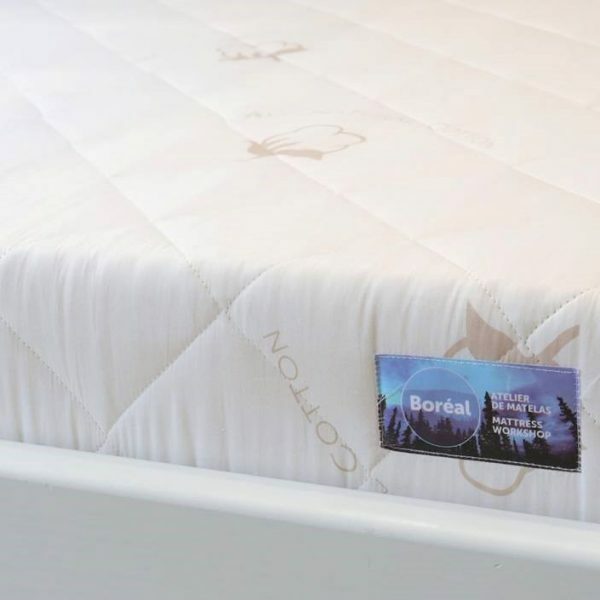 -a mattress with natural latex at a good price. -a fresh, hypoallergenic, dust-mites resistant mattress with no toxic fire retardants added. a firm mattress with a certain elasticity from the latex that embraces the shape of the body and eliminates pressure points. a fresh, hypoallergenic, dust-mites resistant mattress with no toxic fire retardants added. 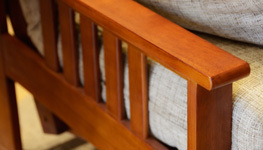 a good value for a mattress entirely made of natural components. a good support from the latex that embraces the shape of the body and eliminates pressure points. 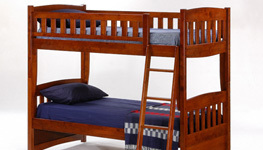 a perfect mattress for kids or person under 200 lb. 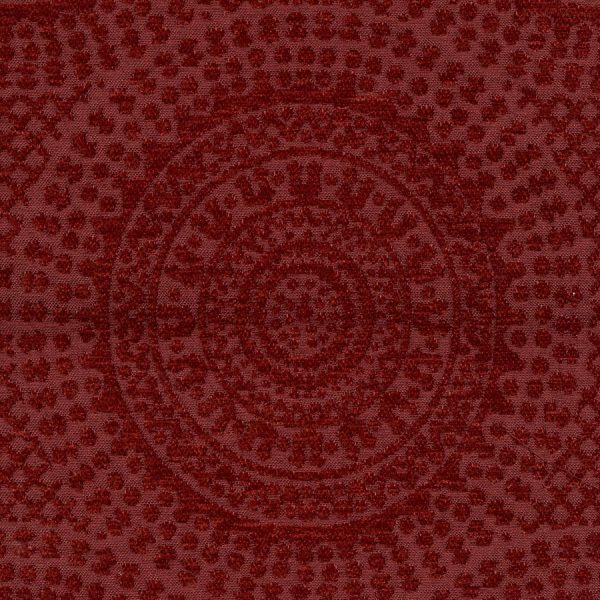 a mattress entirely made of natural components. 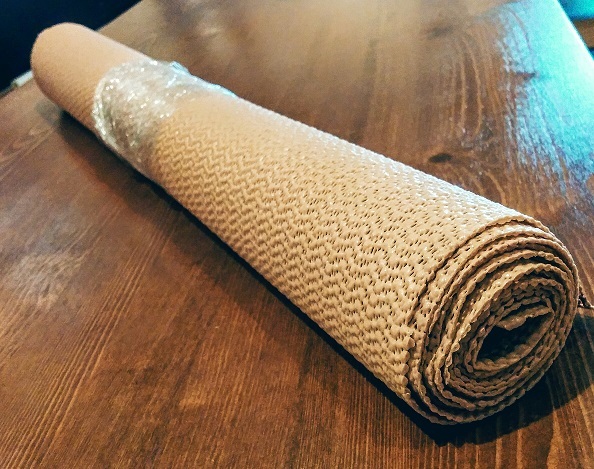 Base : The foundation is 6" of firm all-natural latex. 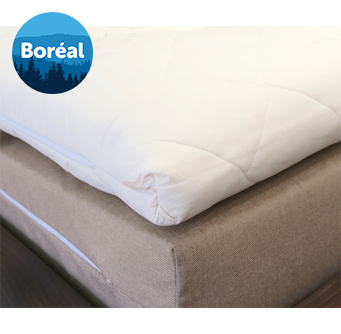 Boreal topper : 2" of firm all-natural latex wrapped in eucalyptus fibre and wool. a mattress with good support that embraces the shape of the body and eliminates pressure points. 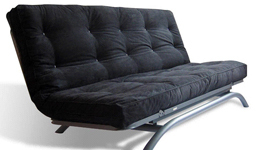 Since we created the Sun futon mattress over 25 years ago, it has been our most popular mattress. We've tweaked the recipe a little over the years, always with the objective to offer an excellent quality/price value. 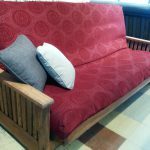 Available in a firm or softer version and with a durability around ten years, the Sun is an excellent choice as a sofa or as an everyday bed. 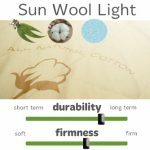 The Sun Wool futon mattress is a wool-tufted version for a maximum of breathability and comfort especially when it's used as an bed. 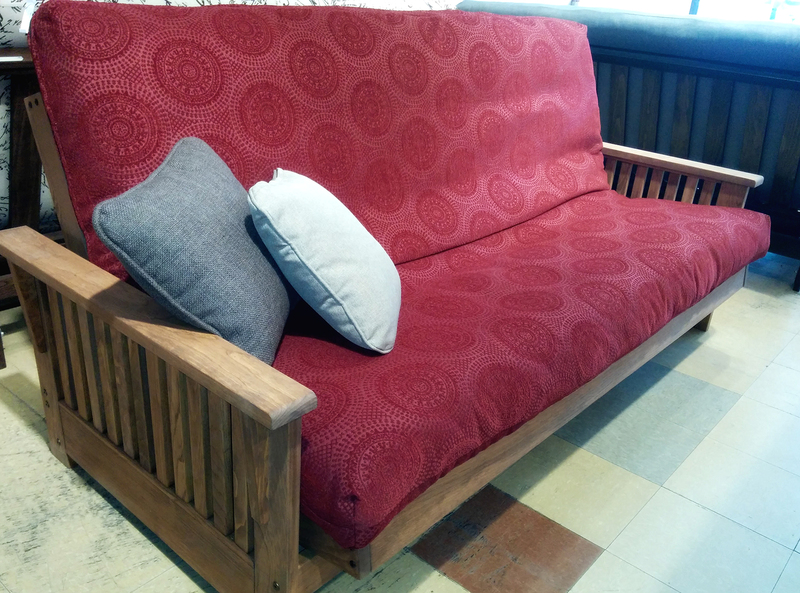 Excellent quality/price value for a sofa or for a long-term bed. Available in a firm of softer version. 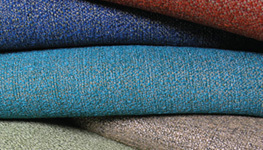 Superior density foam offers a higher level of quality and assures a longer lifetime than regular foam or recycled polyester. a certain elasticity from the latex that embraces the shape of the body and eliminates pressure points. 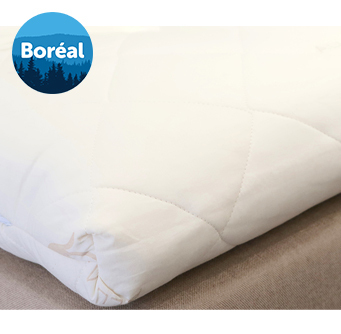 a fresh, hypoallergenic, dust-mites resistant mattress topper with no toxic fire retardants added. 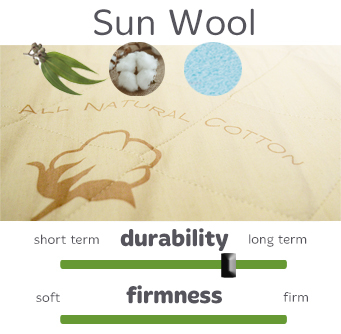 a mattress topper entirely made of natural components.